Go Higher! is a campaign organized by the Massachusetts Department of Higher Education in partnership with Massachusetts' 29 public colleges and universities. Each program brings 5-6 college students into local high schools for a student-to-student exchange about choosing a college and a major, landing internships, and navigating campus life. 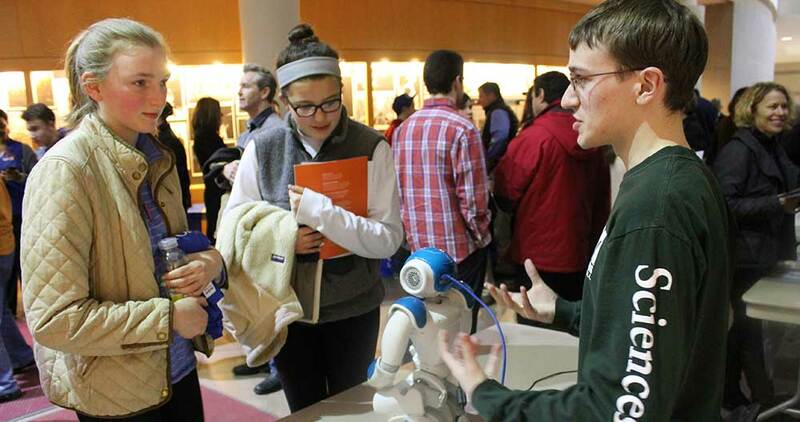 At some larger high school venues, admissions officers join students to answer questions about degree programs and financial aid options, and promote STEM opportunities through interactive exhibits.